There is a great debate going on now about when mini coaches should be able to teach U9 players to tackle as opposed to when they are allowed to under the new RFU regulations. 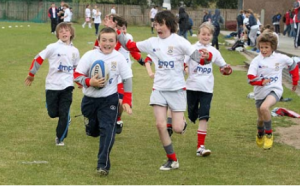 Reports of some rugby clubs already having tackle training for their U9s have been floating around the rugby community and previous experience and observations would suggest that there is more to these than just rumour. One of the biggest frustrations I have as a coach is seeing all of the hard work and effort of the Under 7s and Under 8s age groups completely ignored for the first four weeks of the new season as coaches who are new to the game or to coaching encourage players to “smash” tackle shields. All the running into space and evasion skills are forgotten as players and coaches focus on contact and contact alone. Why? Well the RFU regulations have now compressed the training of this element of the game into a period of four weeks to safely teach young players the core skills of tackling, rucking and mauling. 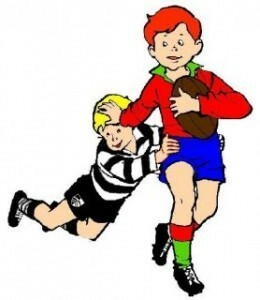 The new regulations and the last few versions of the continuum (the rules for the U7s to U12s age groups) expressly forbid the coaching of tackling to this age group until the start of September of their Under 9 season (there is much discussion as to reasons for this, but it would seem that it is an insurance cover requirement more than a skills coaching issue). For the sake of this piece I’ll ignore the shaping the game changes as the transition from TAG to contact remains the same in general. Maybe the next piece will be my thoughts on that pilot. Players are often walked through a tackle from a stationary position on their knees to a situation were the attacker is running towards them. This is the area where I believe things start to go wrong. By helping to teach players to tackle “passive” attackers, coaches program those attackers to run straight into the defenders. The same programming happens as soon as a tackle shield is brought into play. The players with the tackle shield (who should be representing attacking players) either stand still or move up in a straight line. Tacklers need to move and players who are attackers need to see and attack space! However, as a parent, coach and observer of this transition over a good number of seasons my opinion remains that the vast majority of these players look forward to the contact aspect of the game and see it as the start of playing ‘real’ rugby. Well, real rugby isn’t just smashing things and neither is it just running into space. The joy of the game is that it is a mixture of the two. There is a skill in communicating this to young players and new coaches who were formerly front row forwards and think that a good contact session is what the players need. 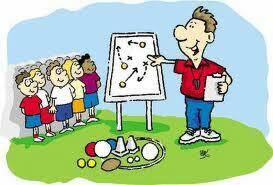 The coaching, therefore, also needs to be a mixture of the two elements; evasion and contact. Players who are behaving as attackers for an exercise need to behave as attackers and look for and attack space, whilst defenders must not assume that attackers will run in a way that will almost assist in making the tackle. I agree that there is a need for the ‘health & safety’ approach to the contact aspect of the game, but I honestly thing that this, together with the use of the tackle shields in that first morning of September, starts to dismantle all the successes of the Under 7s and Under 8s. Maybe I’ll hide the shields this year…..let me know your opinion below. I have just had a very interesting and enjoyable weekend of rugby with my rugby club. For the first time in the history of the club our 1st XV have made it to the cup final of our region and on Sunday afternoon took to the field against opposition who sit in the league above ours. At the final whistle, we had beaten them 18-0 on their pitch (no neutral grounds in this one) and secured a brilliant result for the club. So what has this to do with mini rugby? Well, although I coach for the senior teams now, I started at the club as a dad of a then four-and-a-half year old (that was allowed back then). Not being able to just stand and watch I offered to help out, and at the end of the first season at the club, as the then Under 7’s coaches moved on with their players, I took over that age group and started my coaching from there. This Sunday, five of the players in the first XV, who wrote a new chapter for our club, were products of that age group, and a number of others on that team also worked their way through the age groups. At the start of this season, our Colts numbered 30+ players – most of who have played from mini age groups at the club. As they hit 17 years of age, and with the sign off from the senior coaches (who watched them playing Colts rugby) and their parents, have been brought into the senior squads at the club. Every one of them has now played in either 1st or 2nd team games with the exception of my own son who only turned 17 last week. His job on Sunday was to take the kicking tee to the 10. He will be pushing for a place in the team soon enough. So again, what does this say about mini rugby? Well, my approach in the mini and all the youth age groups was to give players playing time; to build a squad with no “best players” as they all change and grow, or not, as the case may be. At every game I played every player (we don’t do leagues in our part of the world) and whilst we lost a fair few games my squad remained mates, all improved their individual skills and continued through youth age groups into Colts with excellent numbers. 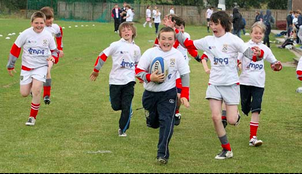 Whilst this was happening some of the bigger clubs who had mini section age groups of 40 or 50 started to pick A & B teams and started to pick teams to win week in – week out. The observation from a distance being that some players who trained at every session never got a start and in some cases never got a game for weeks. After a while these players drifted away from training, stopped turning out and sadly seemed to give up the game. These clubs went from 40 to 50 players in an age group to 30 or so as they tried to run two teams. This was then compounded by some of the B team players also wandering off as they were shunned by lads who should have been squad mates and coaches who should have been developing players to the point that they ran one team. However, this isn’t the end of the decline – lads at 16/17 years of age have college, jobs and all the other distractions that come at that age, and sadly this too dents squad numbers, and we get to the point at the start of Colts rugby with these once mighty teams not being able to field a team at all. Roll this on to the numbers of new players joining their senior squads this year and they might have 4 or 5 compared to the 20+ we have welcomed. Someone asked me on Sunday what my focus as coach for the 1sts was going to be now. It remains the same as it has always been – to develop the players to be better next week than they were last week. However, in amongst that is the understanding that every one of the players in our mini/youth squads should have the potential to play in our seniors squad, and they needs to be nurtured and given the opportunity to develop – something which will not happen if they don’t get played.